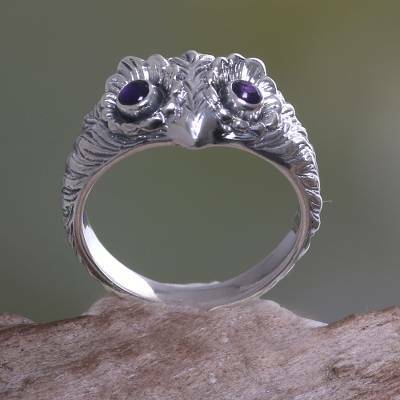 Amethyst and Silver Bird Ring, "Owl Wisdom"
Amethyst eyes survey the world as an owl transforms into a sterling ring. Working in silver, Nyoman Rena creates a beautiful celepuk, as the bird is known in Bali. You can find amethyst ring 'Owl Wisdom' by Nyoman Rena in jewelry categories such as Animal Themed Rings, Good Fortune Rings, Birthstone Rings, Amethyst Rings, Silver Rings, Sterling Silver Rings and Band Rings. 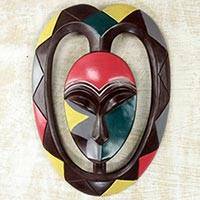 Enjoy exploring these sections for other Novica treasures. A very special and pretty little owl ring.